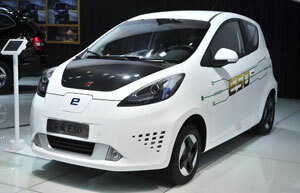 China's first indigenous purely electric supermini car hit the market on Monday as part of a government-sponsored project. China's electric-vehicle industry is falling behind other major auto markets as sales decline sharply and market share remains low. BYD Company Ltd predicts it will make a profit from its electric vehicle business, in which it has invested 5 billion yuan, in the fourth quarter of this year. China's electric vehicle maker BYD Company Limited has announced a series of financial incentives for customers. BYD Co Ltd, China's battery and electric car maker, has warned that profits for 2012 are expected to be down as much as 98 percent over last year. Chinese automobile manufacturer BYD has partnered with London minicab service Greentomatocars to supply the British capital's first fleet of all-electric minicabs. Chinese automaker BYD Auto Co Ltd, which is backed by US business magnate Warren Buffett, will supply 50 electric cars to London taxi firm greentomatocars under an agreement signed on Wednesday. Shenzhen-based automaker BYD Co Ltd said on Thursday that its long-time vice-president Yang Long-zhong has resigned, amid a revenue slump in the past quarters. BYD Ltd remains cautious about its third-quarter outlook and has forecast a steep profit fall of as much as 95 percent for the first three quarters. 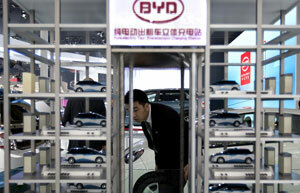 China's battery producer and automaker BYD posted a 94 percent drop in earnings for the first half of 2012. Toyota Motor Corp will display its new hybrid concept car, the Yundong Shuangqing, at the upcoming Changchun auto show slated for July 13-22 in Northeast China's Jilin province. Chinese battery and vehicle maker BYD Co plans to cut salaries due to sharply lower profits amid lackluster market performance. China's largest electric vehicle (EV) charging and battery swapping station has been put into operation in Beijing, sources with the city's power supply authorities said Sunday. Shanghai has submitted a proposal for incentive policies for green cars to the National Development and Reform Commission. China is to release national regulations outlining heavy financial penalties intended to improve management, supervision and safety in the automotive sector. Vehicle manufacturers and dealers could face tougher financial penalties if they violate newly amended automotive recall rules, which were issued on Tuesday. The Chinese government says it plans to increase the funds available for developing greener technology in the country's automobile industry. 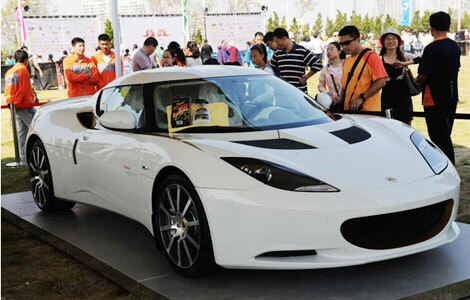 China has set a target of producing and selling 500,000 energy-efficient and alternative-energy vehicles a year by 2015, and five million vehicles by 2020. 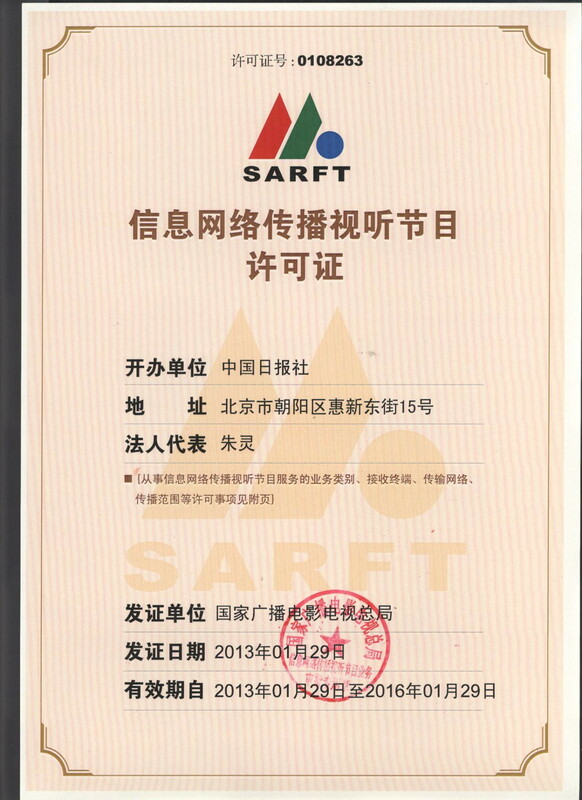 China's Ministry of Finance issued an old-for-new trade-in auto program for 2012, to boost the auto market and facilitate its emissions-reduction efforts. China's cabinet agreed to re-introduce incentives that encourage consumers to trade in cars to help stoke the demand for those vehicles.